Every young fashionista needs stylish wardrobe pieces that will set her apart from the crowd. Urban Republic Jackets are the perfect choice for style and comfort. Complete your girl's winter look with one of these fashionable and classic jackets from Urban Republic that will see you through season after season. 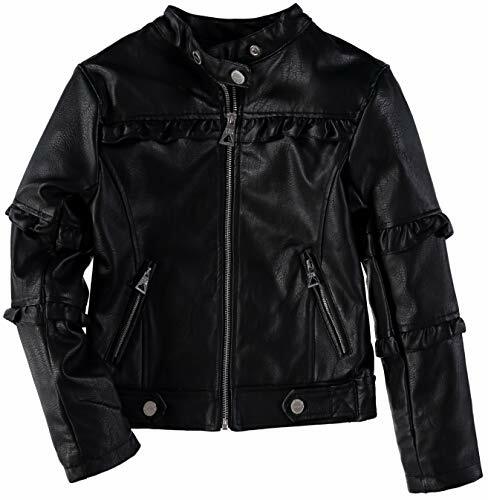 Urban Republic jackets are easy to layer and will keep your kid warm and protected from the elements during the winter. A stylish way to keep any girl warm and chic. Featuring a ruffle trim along the chest and back with a a double accent on the sleeves. Complete with silver hard ware and a snap collar.